The controversial London Interbank Offered Rate (LIBOR) is set to phase out by 2021 after an international investigation revealed that multiple banks were manipulating the rates for profit. Why does that matter for consumer loans? Although the benchmark, established in the '60s, sets the interest rate at which banks can lend to each other, it's also tied to an estimated $370 trillion in debt, with half of U.S. adjustable-rate mortgages secured to LIBOR, according to the Council on Foreign Relations. For many U.S. homeowners, a switch away from LIBOR could prove complicated. Currently, the benchmark helps set the monthly mortgage payment for adjustable-rate mortgages. With these types of loans, the early onset could bring lower interest rates than those offered for fixed-rate loans. After a set period, however, the rate adjusts according to the activity of LIBOR (or other similar corresponding indexes). The New York Federal Reserve launched a new U.S. benchmark, the Secured Overnight Financing Rate (SOFR), that it hopes will be a suitable substitute for LIBOR—at least for the next few years. This new index, however, may prove too volatile, and a risk for banks looking to tie their borrowing costs to a new rate. The biggest difference between the two is the way in which the three-month rate is determined—a significant consideration. as the three-month dollar LIBOR rate is the most widely used variable-rate benchmark, according to the Wall Street Journal. SOFR uses overnight yields to calculate the three-month rate—a more unpredictable measure in which the rate can move up or down depending on the treasury yield and repo market. With LIBOR, however, the rate resets every three months and is based on an average of the estimates banks provide of what they would be willing to pay during that specific period. The WSJ reports the Alternative Reference Rates Committee is also working on a new benchmark that could add some security to SOFR, reducing risk for the borrowers using it as a benchmark. 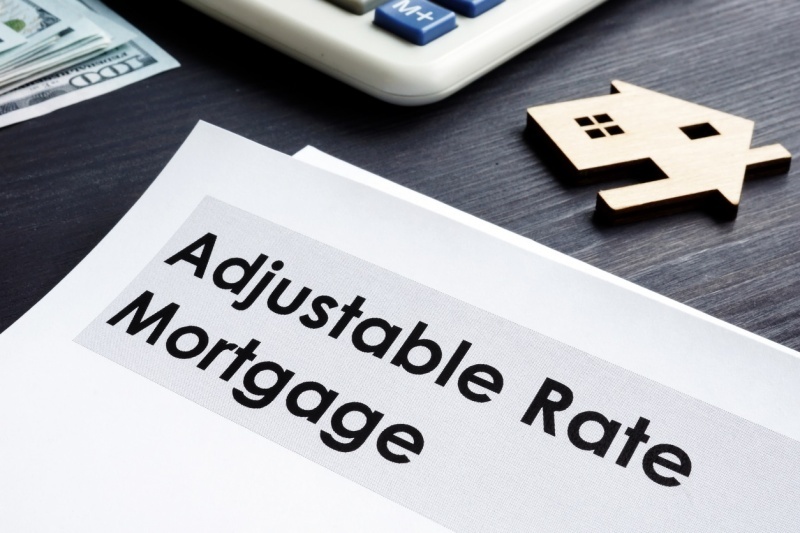 Adjustable-rate mortgages (ARMs) have historically been less popular than fixed-rate loans—according to Forbes, they accounted only for an estimated 4 percent of all loans in 2016. However, the Primary Mortgage Market Survey from Freddie Mac shows that the 30-year interest rate was 4.41 percent last week, while the U.S. 5/1 ARM was drastically lower at 2.76 percent. Homebuyers looking to save in today's market may choose to go with an ARM versus a fixed-rate mortgage. Last month, LIBOR experienced its biggest one-day decline since 2009, reports the WSJ. While analysts are unsure of what caused it, many who have debt tied to LIBOR fear that any proposals and reforms during this transition could impact the rate. As it fluctuates, it could have a significant impact on borrowers with ARMs, hiking up interest rates and their monthly debt. An increase in monthly mortgage payments could have devastating effects on homeowners. In the U.S., 40 percent of adults don't have enough money to cover an unexpected $400 expense, according to the Federal Reserve's 2018 Economic Well-Being of U.S. Households report. Regulators will continue to monitor SOFR to gauge its ability to hold these debts and replace LIBOR. During this transition, industry professionals should stay up-to-date on the impact this shift could have on consumer borrowing going forward as contracts change hands.